This is ridiculous, after multiple screw ups through the entire process to begin with you want me to pay $60 because a form 1040 is not free? Odd it was free for my exspouse just last month when I helped her file her taxes (literally everything the exact same, even our yearly pay was only about $20 apart). I've used TurboTax for years. 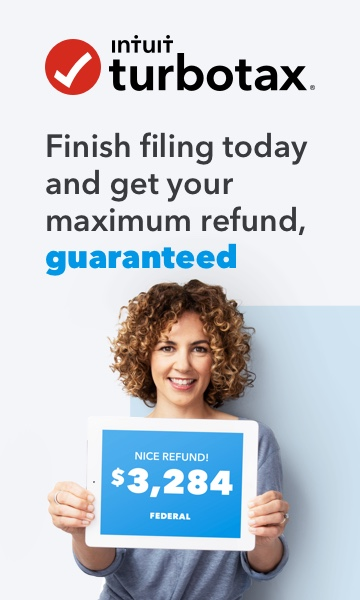 You lost a customer to CreditKarma today, who's free tax filing actually is free... As well as actually easier and faster. It took me no less than 3 hours to try and get some sort of support. I purchased turbo tax from Costco (Deluxe). I completed, saved, printed, reviewed and verified my ID. I got to the point of trying to actually submit my taxes it would say turbo tax has to save your return and then go to the turbo tax website. Once at the website it started asking my all sorts of questions, a few questions in I realized it was trying to make me do my taxes all over again. I tried calling customer support (or the automated mistress of satan I refer to her). the automated system sent me in circle after circle, with the eventual request for an addition $40 for help, as satan's mistress said that I was using the free version, ummmmm, no, I paid for it at Costco along with hundreds of dollars worth of other things because that's just how it goes when you walk into Costco. 3+ hours later after finally getting someone to call me (I just bombarded them with emails, they must have sounded crazy because I didn't have my glasses on and was not exactly sure how my message was conveyed but after Wendy telling me she was transferring me to her supervisor Randsom Phillips, acting as if he was going to be right there on the line for me...…. nope, at least and hour wait. I hung up to maintain my place in line. Thanks in part to one of my mad sounding email, someone else called back. This time she walked me through whole process again with screen capture, of course this time it worked. I had done nothing different than the at least 15-20 times previously. I guess I am insane. Turbo tax has sent me there. Finally, I ask for a refund of part of the fees I paid, oops, have to talk to someone else. Now, I am waiting another hour, it's principle at this time. God help all you other poor souls dealing with this garbage! If they don't resolve this to my liking I will go elsewhere and won't give it another thought. Let's see if they value their customers or if we're all just disposable, some other sap is just going to take my place. I will update for all of you now mesmerized by my saga. Thank you for sharing, good buyer-beware information! My husband and I have never purchased the software but have done everything online (with Turbo Tax) for the past 8 years and have never experienced so much as a hiccup in the process. Is there a benefit to purchasing and using the software? Curious...have always wondered. 1) you can use it for multiple friends / family members. I do taxes for 4 family members with one purchase. for on online, you'd have to pay for each tax return. In other words, I paid for deluxe once, but if my family all used the online version it would be deluxe times 4! 2) with the download version, you have the benefit of seeing the forms from the get-go (because you've already paid for the software). On online, you don't see the forms until you are ready to checkout, so it's hard to see what is materializing as you input the data.